Super Bowl is right around the corner, and you know what that means – WINGS! 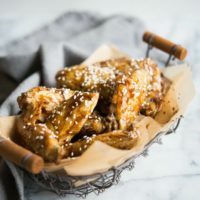 Specifically, these spicy teriyaki chicken wings! 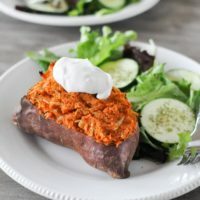 My Paleo buffalo chicken wings have been one of our most popular recipes for years now, so we thought it was time to give them a new spin – this time with spicy-sticky-sweet teriyaki sauce! Before I made my first chicken wings, I thought that making wings would be a huge undertaking. In restaurants, chicken wings are usually fried and often breaded, and I’m not one for deep-frying whenever I can avoid it. So, I decided to try the oven method, not fully trusting that the wings would actually come out like the crispy wings I love. To my surprise, THEY DID! You don’t need frying or any special tricks to get perfectly crispy chicken wings, you just need to give them a good amount of time in the oven (50 minutes) at relatively high heat (400 F) and you’ll have the crunchy wings of your dreams. 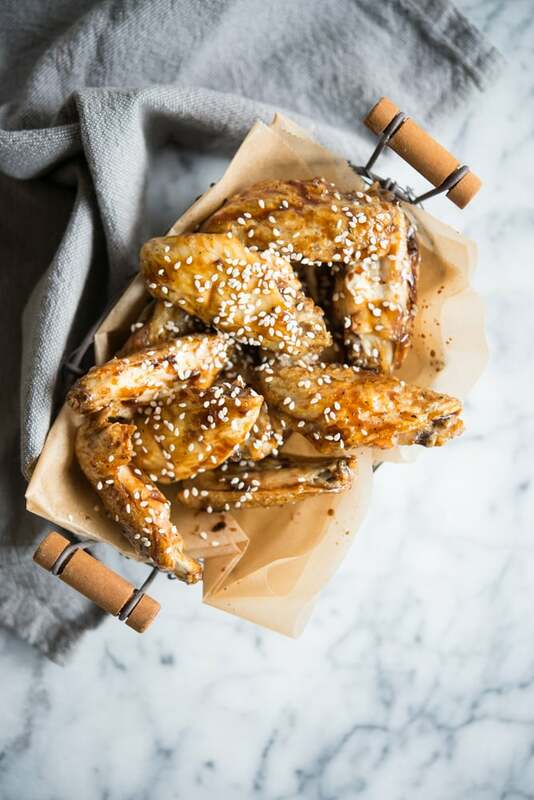 Now, let’s talk about the sauce on these Paleo teriyaki chicken wings. Unlike traditional teriyaki sauce, this one is free of gluten, soy, and refined sugar! The star of the show here is coconut aminos. 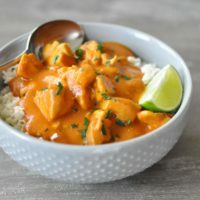 A few years ago, when experimenting with a recipe for Mongolian beef, I discovered that if you let coconut aminos cook for a while they reduce down to a thick, slightly sweet glaze – no thickeners or additional sugar needed! With just a few extra ingredients you’ve got a perfect salty, sweet, tangy, slightly-spicy glaze. While the wings are baking, you’ll reduce the sauce, then toss the wings in once they come out of the oven. 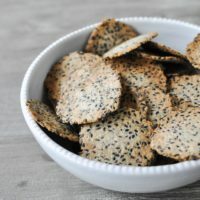 Sprinkle them with sesame seeds and you’ve got a super bowl appetizer everyone will be fighting over! What: Get Wings For Life! Deal: New members will receive 3 lbs of organic free-range chicken wings in EVERY order for the lifetime of their subscription. Dates: Thursday, January 24 – Sunday, February 3rd. Must order before 1/28 for guaranteed delivery before the Super Bowl. 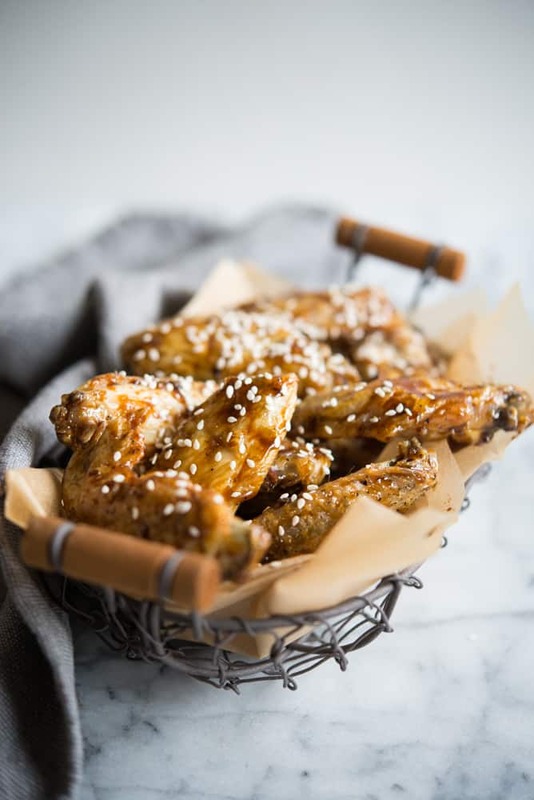 Click here to get yourself some free wings so you can enjoy these Paleo teriyaki chicken wings all week long! These Paleo teriyaki chicken wings are perfectly crisp with a sticky, sweet, tangy glaze that everyone will love! Season the chicken wings with salt and pepper. 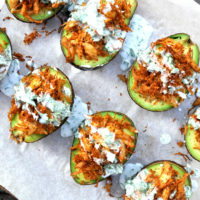 Place on a rimmed baking sheet, over a rack if you have one, and bake for one hour, until the skin is golden brown and crisp. While the wings are cooking, place the coconut aminos in a large skillet over medium heat. Simmer for 8 to 10 minutes, until it thickens enough to coat the back of a spoon. Scrape the thickened aminos into a bowl and stir in the vinegar, sesame oil, fish sauce, red pepper flakes, garlic powder, and ginger powder. 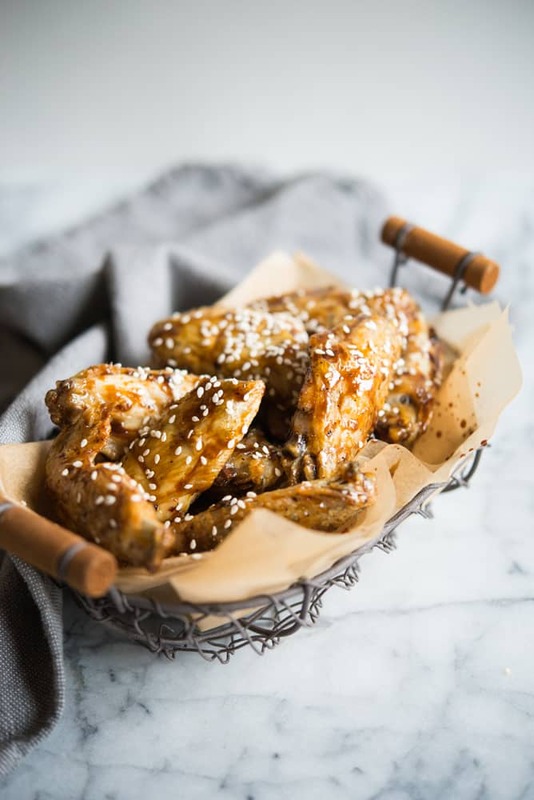 Toss the wings with the teriyaki sauce, garnish with sesame seeds, and serve!